The Chronicle first published this post on May 11, 2016 after Michael Jung won the Rolex Grand Slam of Eventing. What does a young Terminator look like? 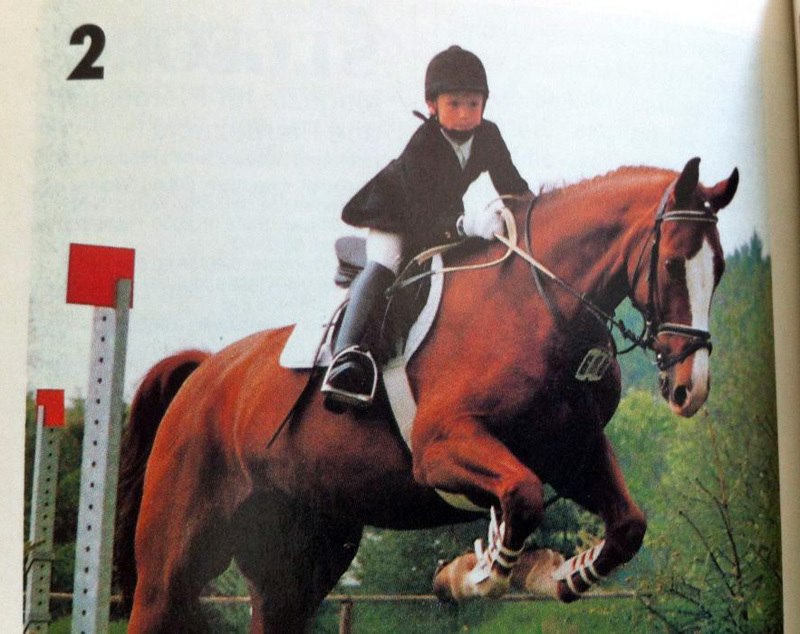 Even before he was 10 years old, eventer Michael Jung was impressing the best in the world. After Jung polished off his Rolex Grand Slam win, editors at the German magazine St. GEORG dug up the first photo they’d ever run of the superstar, from 1992—the year Jung turned 10. The legendary George Morris was writing a “Training Tips” column in St. GEORG, in which he critiqued photos submitted by readers (much like his Jumping Clinic column in Practical Horseman). “Readers would send a picture, then editor-in-chief Gabriele Pochhammer would send them to the States, and George would return them (some months later) with a comment on what he saw on the picture,” said St. GEORG Editor-in-Chief Jan Tönjes. And Michael’s father, Joachim, sent in a photo of his son, which was then published in the Dec. 1992 issue. “The bottom is perfectly well out of the saddle with the legs in a very good position, with the heels down and the tip of the toes pointing towards the outside. The entire position of the leg is by far better than most of the older riders, with a good contact to the horse’s body. Images courtesy of St. GEORG.